Shows the street before it was metalled. 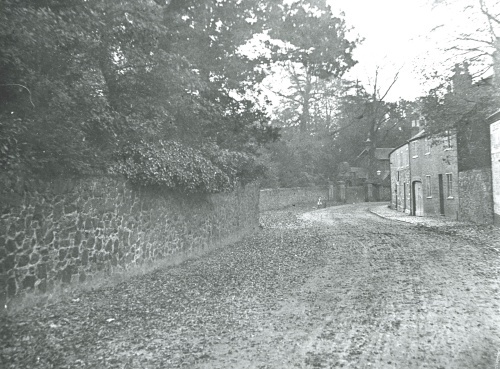 On the right of the photograph is the house occupied by the coachman of Quorn House, to the left of which is Mr Corah's bake house with a board over the door. Across the road in the background is the lodge and entrance to Quorn House.